Sotheby’s on the Upper East Side hosted an evening of fun, food, and fabulous art for their second annual Our Town’s Art of Food, presented by New York-Presbyterian Hospital. The evening was hosted by none other than Geoffrey and Margaret Zakarian. 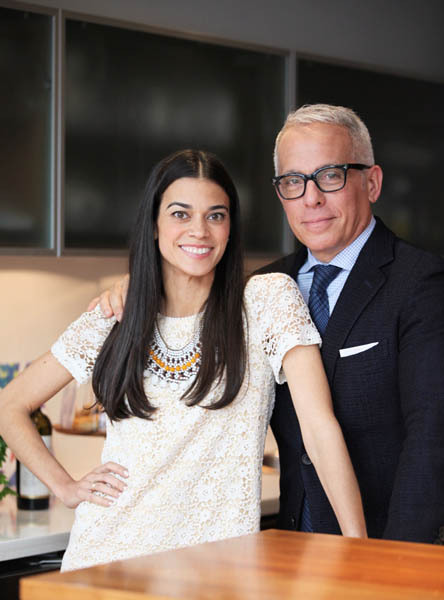 Geoffrey Zakarian’s famed restaurants from The Lambs Club to The National in both NYC and Greenwich have made him one of the city’s most recognizable celebrity chefs. Art and food lovers alike were treated to tastings prepared by over twenty of the Upper East Side’s most celebrated chefs while they enjoyed the beautiful space filled with artwork and fun entertainment. “Our Town’s Art of Food event, presented by New York-Presbyterian, is an unparalleled ‘only in Manhattan’ evening,” says sponsor Jeanne Straus, President President of Straus Media. Restaurants which participated in this year’s event included American Cut, Crave Fishbar, The Meatball Shop, Atlantic Grill, Candle 79, East Pole, Penrose, T-Bar Steak, Freds at Barney’s and many more.